Bhunaigh Eamon Mac Giolla Bhríde an comhlacht sa bhliain 1988 sna Maichaireacha i nGaoth Dobhair. D’fhás an comhlucht gach bliain ó shin ‘un tosaigh go dtí an lá inniu. Tá seirbhís luachála agus díolacháin a chur ar fáil don phobal agus tá an Teanga Ghaeilge líofa ag an fhoireann oibre. Lena chois sin, is féidir linn seirbhís athrú Sterling nóo airgead eile mar dollars a aimsiú dár gcuid ceannaitheoirí. Táimid bróduil go bhfuil an pobal as na trí paróistí ag úsáid ár gcuid seirbhisí go rialta. Established in 1988, Mc Bride Auctioneers has been operating in Derrybeg, Gweedore in the north west Donegal Gaeltacht for almost 30 years. Eamonn Mc Bride (SCSI RICS) has run the family estate agents and auctioneers since its inception, and has built up an unrivalled expertise in the property business including residential sales and lettings, valuations, commercial sales and lettings. 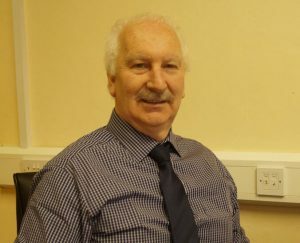 Eamonn Mc Bride is also a Commissioner of Oaths in the Donegal region (appointed by the Irish Supreme Court). Ó Cuireadh ar bun é sa bhliain 1988, tá Ceantála Mhic Giolla Bhríde ag feidhmiú i nDoirí Beaga, Gaoth Dobhair in iarthuaisceart Thír Chonaill le beagnach 30 bliain. Tá Éamonn Mac Giolla Bhríde (SCSI RICS) i mbun ghníomhaireacht eastáit an teaghlaigh ó cuireadh ar bun é, agus níl sárú ar an taithí agus an saineolas atá aige i ngnaithí réadmhaoine, lena n-áiritear díolacháin agus ligean áitreabh, luachálacha, agus díolacháin agus ligean tráchtála.